HIGH POINT, NC - Marge Carson can always be counted on for extraordinary fabrics. And the company's October 2012 High Point introductions are no exception; in a dazzling array of patterns, textures and colors, they make incorporating high-fashion style as easy as 1-2-3. According to Christine Rendino, who leads the fashion design team, much of it comes down to a matter of geometry. "Crisp clean shapes, defined spaces and concise lines are the hallmarks of fall 2012 fashion - both on the runway and in the home," she explains. "It's been several years since the design pendulum has swung to the side of minimalism, with color-blocked patterns and sharper edges. That's true, as well, in the world of Marge Carson." And the proof is in the product. Throughout the showroom, patterns and shapes reflect a cleaner, brighter palette as well as a nod to geometry. Modern patterns, running the gamut from circles and quatrefoils to blocks with mathematical roots, seem fresh and new. And perhaps the best aspect of these motifs is that they're just as well suited to traditional furniture as they are to pieces with a more transitional feel. This market's "Galaxy" sofa, for instance, features a gracefully arced shape with bumper ends, the perfect choice for a penthouse overlooking the city skyline. Decked out in a soft ivory "Casino Snow" chenille, it's accented with pillows wrapped in "Sweet Water Grill," a natural linen with pale gold metallic quatrefoil embroidery. The chunky chenille featured on "Galaxy" is just one example of the various textures featured throughout this market's showroom. 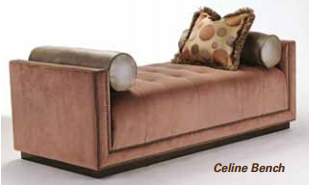 The "Celine" bench is another; this clean-lined, modern form, perfectly suited to open floor plans, is upholstered in "Musical Rose," a soft dusty mauve microfiber with a chamois-like feel. But silks and suede cloths, velvets and linens, even smooth modern wovens are equally prominent. And all are beautifully embellished in some way, typical of Marge Carson style. Prime examples include "Tiger Lily Tan," a highly detailed contemporary floral embroidery on silk satin with multi-textured stitching and metallic accents, and "Ezo Dragon," a silk Italian jacquard featuring multiple weave textures and metallic embellishments that celebrates the Year of the Dragon. Likewise, the Marge Carson color story is nothing less than brilliant; this market's offerings include greens that range from emerald to aqua (a strong trend color) to bright red and muted aubergines. "Empress Rouge" - a beautiful scarlet Italian jacquard in an ornate Empire pattern - is one of the stunners being shown while another is "Malibu Botanical," an on-trend aqua, green and brown paisley pattern embroidered on dove gray dupioni. But it's "Brigitte," this market's "Wow!" sofa, that's unquestionably the showstopper, taking pattern, texture and color to an entirely new level. This gracefully curved, 116-inch-long sofa - being shown in "Dashing Moonlight," a taupe chenille velvet with an amethyst undertone enhanced by a glimmer of gold - embodies pure presence and glam.  But, as is the case with all Marge Carson designs, the real difference is in the details. 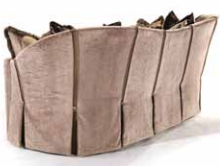 Along the top of the piece, the inside and outside backs feature elegant cording, outlining contours that fall to a skirted back. 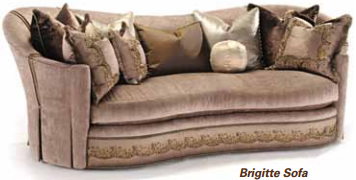 Meanwhile, "Saint Tropez Jewel" - used for accent pillows as well as a band across the front of the sofa - is nothing short of dazzling, its hand-sewn beads and jewels in tones of chocolate, topaz and gold swirling across an earthtone amethyst dupioni silk. "Wow!" just may be an understatement.